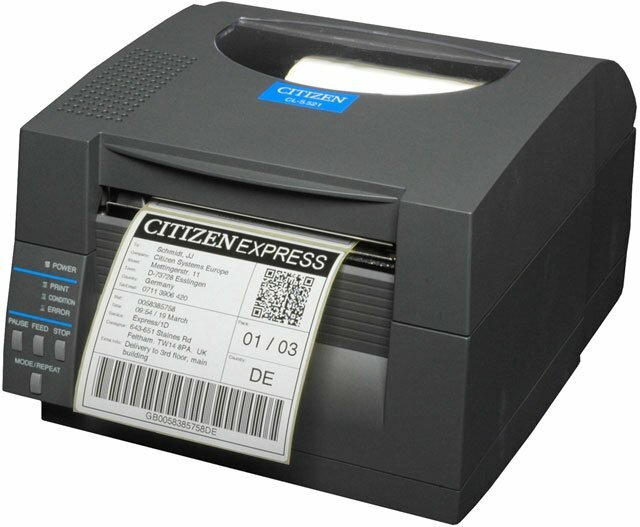 The Citizen CL-S521 direct thermal printer combines robust printing with superior price performance, ease of use and precision engineering. Citizen's unique metal Hi-Lift print mechanism allows for quick media loading while an adjustable sensor easily handles a variety of media and label configurations including standard and pediatric medical wristbands. Also, the powerful on-board 32 Bit RISC processor delivers exceptional throughput and fast first label out. The CL-S521 also features complete connectivity, with serial and USB interfaces, or choose optional internal Ethernet, Wi-Fi, or Parallel. If you're looking for a rugged, precise barcode/label printer that delivers maximum performance, look no further. The Citizen CL-S521-PF-GRY is also known as Citizen America	CL-S521-PF-GRY	or CLS521PFGRY	.